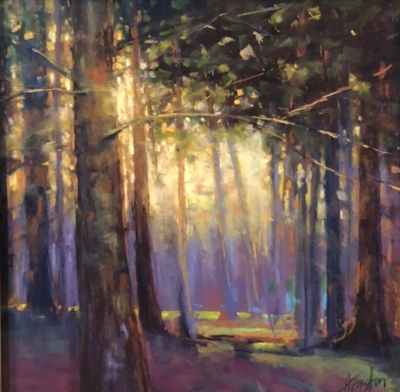 Expand your creative abilities using pastel, with this amazing instructor’s guidance. 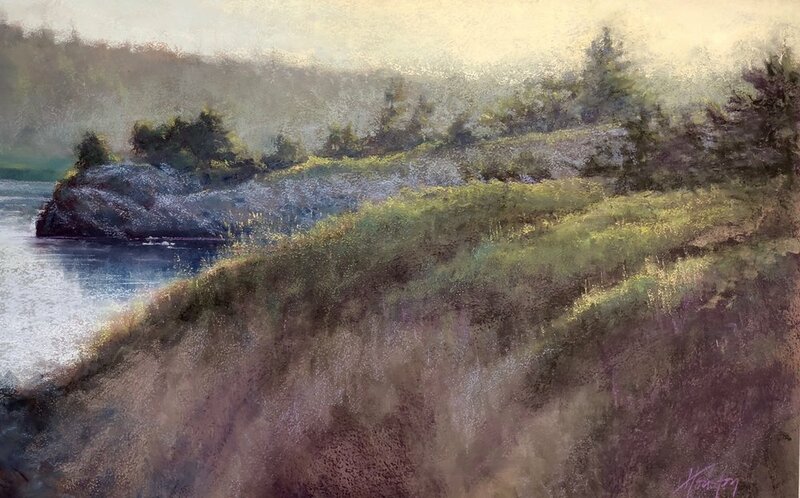 From this national and internationally award-winning artist, you’ll learn how value, patterns and color temperatures can make your paintings really stand out. Learn how to really see and how to analyze your work with a more confident eye. 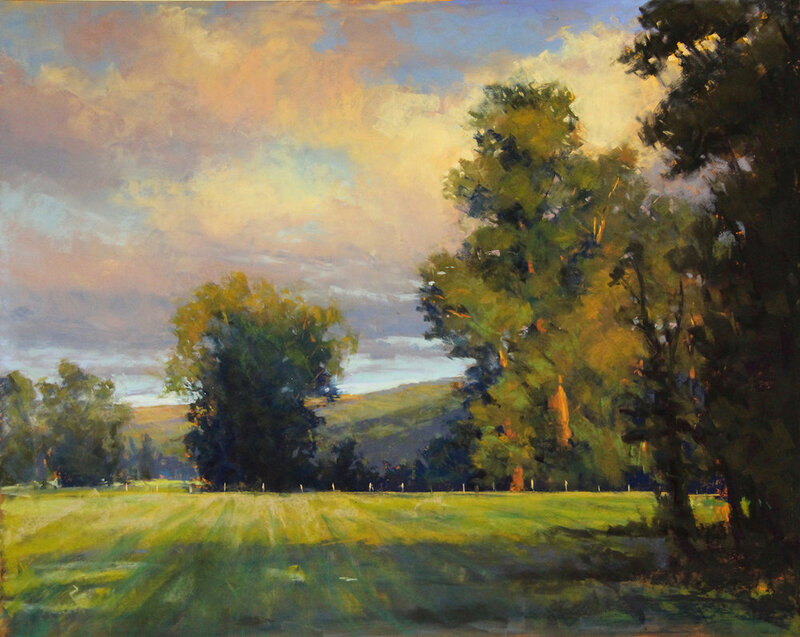 With a strong focus on the landscape, Amanda will demonstrate painting skies, trees and sky holes as well as how to create mood, emotion and atmosphere in your work. With daily demos, experimentation and plenty of individual instruction, this beloved instructor will generously share her techniques for achieving masterful results. This workshop will be at ArtWorks - just 3 blocks away from Cole Gallery, with an airy, large space and their own parking lot. Notice also the extended time (until 6pm on Friday, 5pm on Saturday and Sunday); come rested and prepared to absorb as much info as you can! All of Amanda’s classes are grounded in design and composition and have a balanced mix of theory, technique and experimentation. She likes her students to try as many different surfaces and techniques to expand their creative repertoire. To that end, Amanda will demo how to use different techniques on different surfaces to achieve great results. You will have the option to learn to create your own surface by painting a sanded gesso to a board or metal – supplies for this option will be provided by the instructor for the $20 supply fee – please bring cash or check payable to Amanda if you are interested in this option. 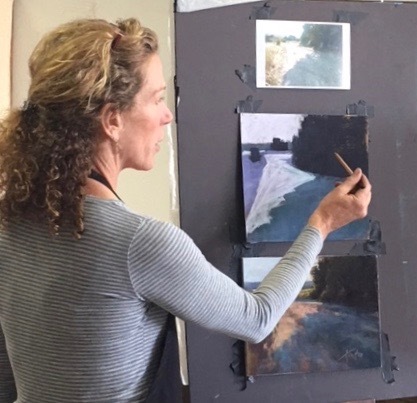 Packed with fast-paced design and loosening up exercises, this 3-day workshop will take your paintings to the next level! Some experience in pastels is necessary. PASTELS: As many as you can bring, with a mixture of soft and hard pastels, with a range of brights, darks and grey tones. NO oil pastels. · SOFT PASTELS: Amanda has her own signature color boxes of Richeson Pastels through ARTSpot. (An 80 pc. Landscape essentials set and a 40 pc. Neutral essentials set.). Optional: Amanda also uses Terry Ludwig for darks (v100x, B3560, G540,R160), Diane Townsend Terrage sticks in light creams and blues. Amanda also loves the Diane Townsend Pearlized sticks for sparkle in water and birds (501, 505, 503, 616), and these pearlized sticks last for many years. All of these are totally optional for you, and not available locally. Visit www.Dakotapastels.com, or order directly from the supplier for these specialty pastels. DRAWING BOARD: Gator-board (preferably black but white will work), foam core or Masonite board for taping your papers and inspiration references on. PAPERS: If you have a favorite, please bring it. Amanda will be demoing on LaCarte paper (Sienna color), Art Spectrum Colorfix, and Pastel Premiere. You can buy a large sheet and cut them down into smaller workable sizes for the class: 9x12, 11x14 or 12x16. We will focus on lots of small work. Bring at least enough for 4 paintings. I encourage students to try surfaces they haven’t tried. · REQUIRED: Sketchbook- Small personal sketchbook in any size. Amanda likes “Strathmore Toned sketchbooks” in either gray or tan for doing thumbnail value studies. · Photo references of landscapes to bring for inspiration of what you want to paint. KEEP IT SIMPLE. Think 3-5 big shapes. No pets or intricate detailed photos please. Instructor will have inspirational photos as well. *For supply fee (please bring cash or a check to the instructor), Amanda will provide gator board, sanded gesso medium, roller and sandpaper, as well as lecture, demo and hands-on guidance if people want to try preparing your own surface boards. If possible, she will have extra paper if people want to purchase more from her. Instead of a flat fee, these items will be available to students as separate purchases, so that you can pay as you use them, and aren’t paying for things you don’t use.